Mission: Towns involved in the Age-Friendly Community Initiative (AFCI) are communities where people of all ages are welcomed, respected, encouraged to participate in the civic and social life of the communities, and are able to stay in the communities and in their homes as long as they wish. Bethel joined the AARP Network of Age-Friendly Communities in September, 2015. A comprehensive survey identified the needs and assets of the communities, which were shared with a large group of interested citizens. 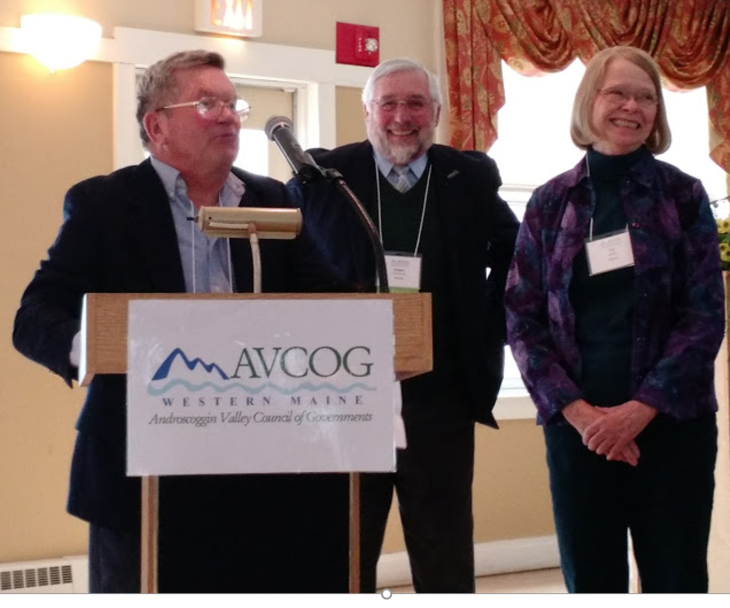 What began as a one-town effort has rapidly grown into a regional initiative comprising Bethel and five other contiguous towns - Gilead, Greenwood, Hanover, Newry, and Woodstock. The AFCI has persistently addressed these concerns in programs and projects described below. It has just successfully completed the implementation of its Initial Action Plan, approved by AARP National and the World Health Organization in March 2017. In a comprehensive process to outline future focus areas, AFCI is evaluating existing programs and defining those new potentials emerging on the horizon, much of it in collaboration with other community planning initiatives. One identified need pertains to help in the home; this could focus on any of a number of possibilities, including outdoor tasks that might involve high-schoolers, indoor everyday chores, or home fix-its of various types. 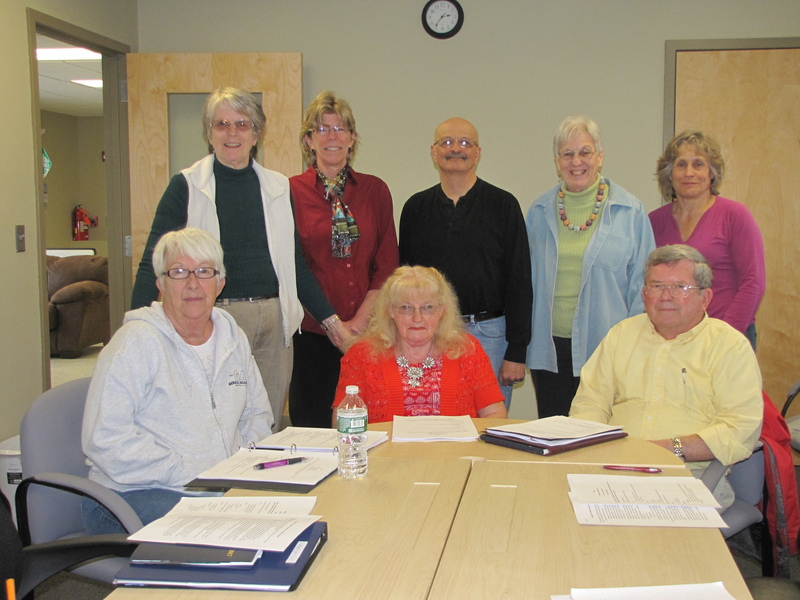 Each town in the Bethel Regional Age-Friendly Community Initiative appoints 1-2 people to serve on its regional Advisory Council. Additional members of the Board of Directors include representatives from partner organizations. Describe any partnerships you have developed? Although we work in partnership with several local organizations, this effort is entirely volunteer led and implemented. Strategies that have contributed to your success? Barriers you have encountered? The Age-friendly Community Initiative values community engagement, and an ongoing goal has been to get input from the community and identify volunteers to help in our projects. Our first tactic was to design a vigorous publicity plan, keeping the public informed while also addressing other challenges such as feelings of isolation. We have nurtured partnerships within the community and are now pursuing deeper levels of collaboration in identifying and addressing community needs. Finding the most effective people to form our Board of Directors (formerly Advisory Council) has been of high importance. All member towns are represented on the Board, and we have populated the Board with consideration to diversity of perspectives and experiences. Our biggest challenge is reaching the most isolated and those probably most in need of services. Many of our citizens are reluctant to ask for help and reflect fierce pride in their independence and self-sufficiency. Small communities like ours present both unique benefits and difficult challenges. We are a community of incredible resources, both the natural environment and the richness of institutions and community members. 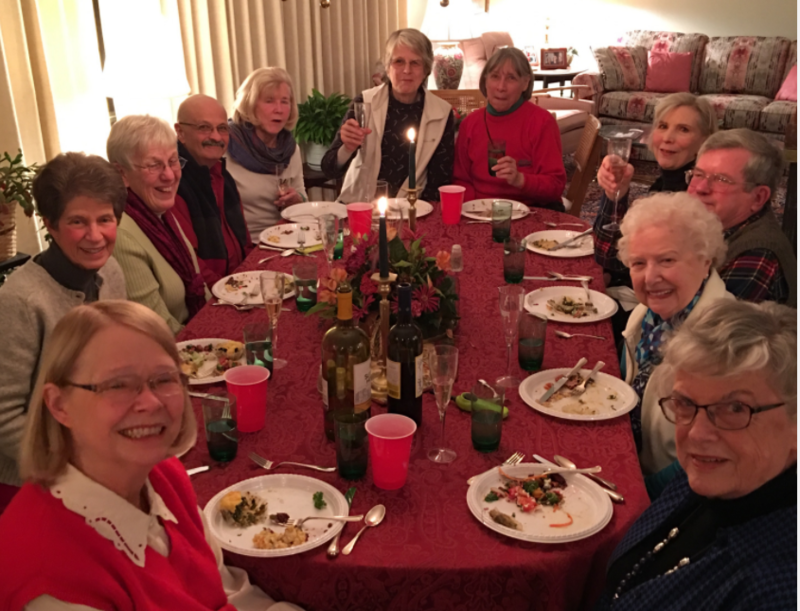 What that means is that typically those who wish to be involved are spread thin across the wide spectrum of community endeavors, and issues related to aging are not always at the top of their concerns. We have, so far, been successful in initial attacks on critical issues; we hope we can continue to find the right people to help us move forward! Funding sources include grants, municipal funding from all six of the towns in the regional initiative, and private contributions. 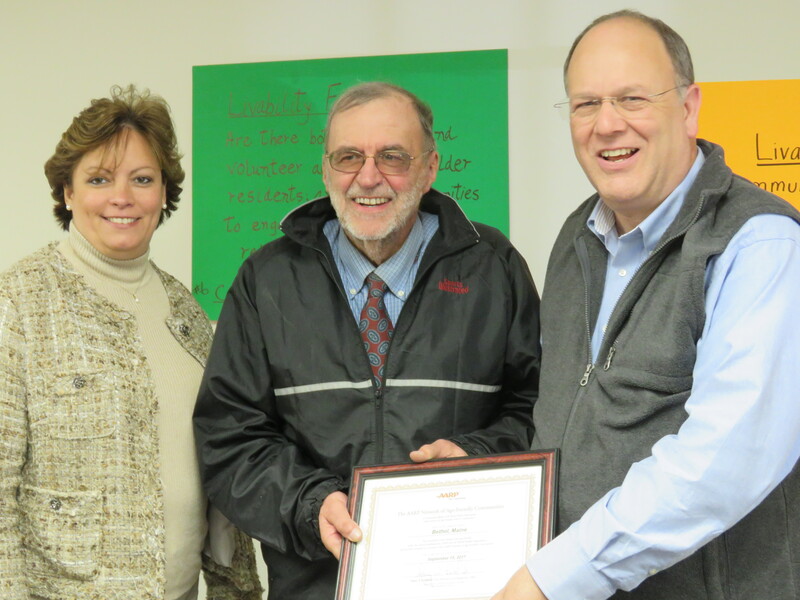 The Age-friendly Community Initiative is very proud of our Neighbor-to-Neighbor (N2N) Volunteer Driver Program. 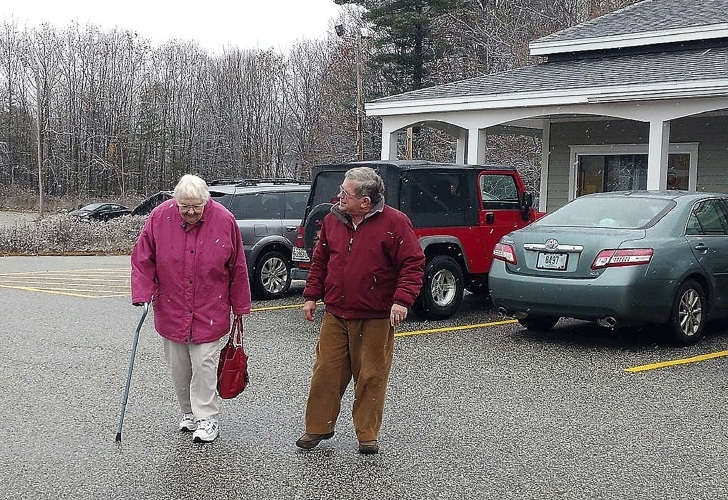 In collaboration with area transportation services and the Maine Department of Transportation, the N2N program provides free medical or local non-medical rides for seniors (age 60 and over) in the AFCI communities. To schedule a ride, call 207-824-4444 at least 3 days in advance. Rides are dependent on the availability of drivers. With a Community Challenge grant from AARP, the Age-friendly Community Initiative has developed an adaptive toolkit: tools for home use, including kitchen helpers and aids to facilitate vision and manual dexterity. Tools are for sale at Brooks Bros. Hardware and from other online retailers (see catalog on website). The display serves as an effective conversation-starter throughout the communities and at local events. Through the same grant, a Home Assessment Program has implemented a limited number of free home safety assessments provided by an Occupational Assessment. We have also started free smoke alarm installation for Bethel, Greenwood, Newry, and Woodstock residences. Residents can call their local town office for more information. Age-friendly activities for every season: indoor walking in the winter months, outdoor swimming in the summer, and Tai Chi and Matter of Balance classes. Updated information is provided through the Bethel Citizen and on our website. FMI: Jackie Cressy (824-0508 or rivendel@megalink.net). The AFCI Resource Directory is a guide to services and agencies available to seniors (and others), locally and statewide. The directory is available on our website and printed copies at select sites within the AFCI communities – contact us if you’d like us to email you a pdf copy. The AFCI Morning Greeting program allows seniors living alone to receive a call each day from a “neighbor” to check in on their well-being, thereby lessening isolation, promoting safety, and encouraging new friendships. FMI: Brooks Morton (brooksmorton@gmail.com, 207-824-2679). AFCI has partnered with AARP to host a shredding event for the Bethel region, raising awareness of how to prevent identity theft and fraud. We also promote resources from AARP in our monthly newsletters to inform residents about ways to prevent fraud, abuse, and exploitation. 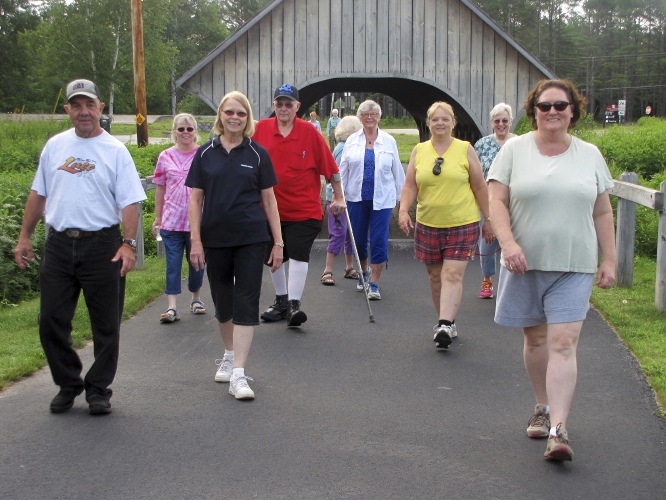 universal access, the trails encourage people of all ages and abilities to get outdoors, exercise and appreciate nature. To improve visibility on heavily-used stretches of Main Street, Bethel, several crosswalk stanchions have been put in place by Bethel’s Department of Public Works, with the encouragement of the Initiative. The AFCI Handy Neighbor Program will engage community partners to provide seniors with help in a variety of household and outdoor chores.